Thu., Nov. 8, 2018, 11:15 a.m.
KANSAS CITY, Mo. – The captain of a tourist boat that sank in a southwest Missouri lake and killed 17 people, including nine members of one family, didn’t tell passengers to put on flotation devices or prepare them to abandon ship, even after waves crashed into the boat during a severe storm, according to an indictment released Thursday. The federal indictment shows 51-year-old Kenneth Scott McKee is facing 17 counts of misconduct, negligence or inattention to duty by a ship’s officer resulting in death. The deaths occurred when an amphibious vessel known as a duck boat, which were originally used by the military during World War II, sank during a sudden and severe storm in July. Ripley Entertainment, the company that operated the boats and suspended the operation following the accident, didn’t immediately respond to messages from the Associated Press. McKee’s attorney declined comment. One of the survivors, Tia Coleman – whose husband, three children and five other family members died in the sinking – released a statement Thursday saying she was pleased an indictment had been filed. The sinking killed Coleman’s relatives while they vacationed from Indiana. The other people killed included two couples from Missouri, an Illinois woman who died while saving her granddaughter’s life, an Arkansas father and son, and a retired pastor who was the boat’s operator on land. 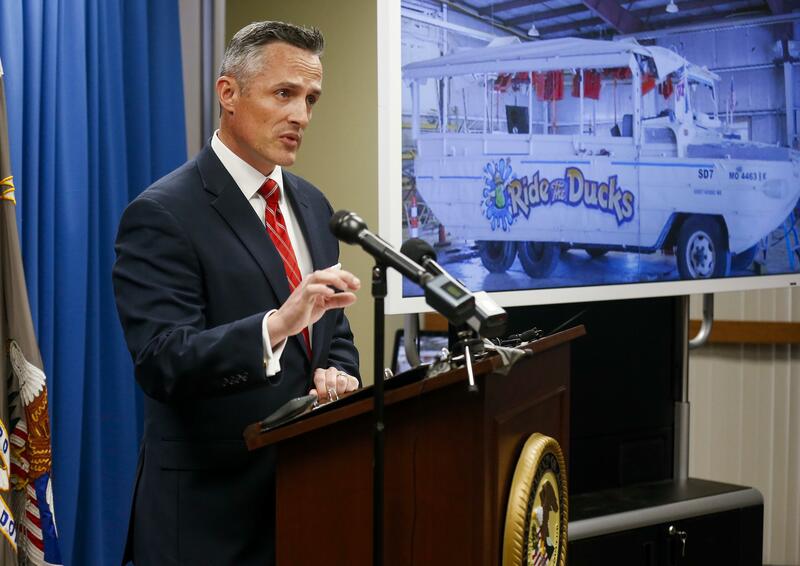 Several lawsuits have been filed on behalf of victims, their relatives and survivors of the sinking against Ripley Entertainment and other companies involved with the manufacture and operation of the boats. Robert Mongeluzzi, an attorney representing Coleman and several others who filed lawsuits, said he’s confident the investigation will go beyond McKee. Published: Nov. 8, 2018, 11:15 a.m.